PM and defense minister approved the construction of 800 housing units in Jewish East Jerusalem neighborhoods and Ma'ale Adumim; in addition, 600 housing units were approved for Arab neighborhood Beit Safafa. Prime Minister Benjamin Netanyahu and Minister of Defense Avigdor Lieberman approved on Sunday the construction of a total of 800 housing units in Ma'ale Adumim and the East Jerusalem Jewish neighborhoods of Ramot, Har Homa, and Pisgat Ze'ev. The announcement is apparently a response to the recent increase in terrorist attacks last week. "The actions right now are too little and too late and won't stop viral terrorism," Minister of Education Naftali Bennett's associates said Sunday, shortly before the Security Cabinet convened for a meeting, "This is a recycling of old decisions from a year and a half ago." 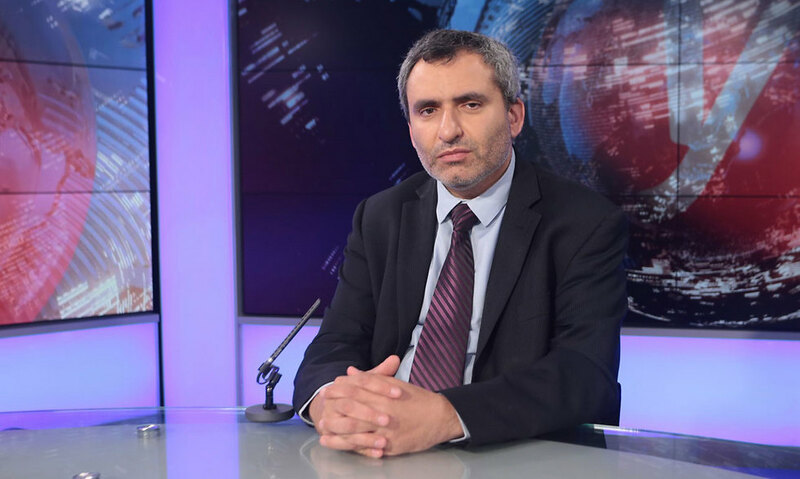 "Those who want to make sure there's a Jewish majority in Jerusalem cannot promote construction there for the Arab population only," Minister of Jerusalem Ze'ev Elkin said to Ynet. 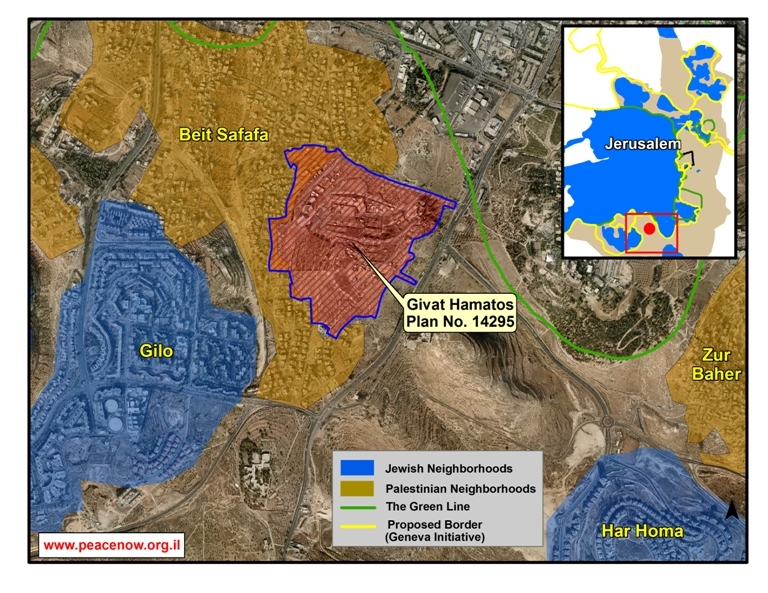 "The 600 housing units in Beit Safafa are actually in the Arab part of the future Givat Hamatos neighborhood. You can't approve construction in Givat Hamatos for the Arab population without simultaneously promoting construction for Jews in that same future neighborhood, Givat Hamatos." "I call on the prime minister to approve in addition the construction in the Givat Hamatos neighborhood for Jews. Jerusalem needs this neighborhood and over 2,000 housing units urgently. The Givat Hamatos neighborhood is of strategic importance to the development of Jerusalem, much like the neighborhood of Har Homa was in its time. Just like in his first term as prime minister, Benjamin Netanyahu made history in establishing the Har Homa neighborhood, I call on him to make history once more in this term and act immediately to promote the Givat Hamatos neighborhood." When asked if PM Netanyahu answered his concerns regarding the construction, Minister Elkin said, "No. I suppose the answer is set in the willingness to balance and in the construction that was promoted. This is in the planning stages, true, but to my eyes it's very far from creating balance. (We) need to build in Ma'ale Adumim regardless of the issue of balance in Jerusalem, and in Jerusalem there is a shortage of thousands of housing units for the Jewish sector if we want to stop the emigration from the city and stop the erosion of the Jewish majority in the capital." Israeli premier Benjamin Netanyahu and his war minister Avigdor Lieberman on Sunday approved plans to build 800 housing units in settlements surrounding east Jerusalem. According to Israel's Channel 10, Netanyahu and Lieberman approved the construction of 560 housing units in Ma'ale Adumim settlement and 240 others in Pisgat Ze'ev and Har Homa settlements. The Hebrew website Walla said the approval of these plans was part of Israeli reactions to recent Palestinian deadly attacks in al-Khalil province. The housing units will be built directly without obtaining any other approvals, according to the website. In a related context, Netanyahu stated that his government would make special efforts to intensify settlement construction in the West Bank and Jerusalem. According to the Israeli media, Netanyahu issued directives during a cabinet meeting on Sunday to his ministers to work together on finding ways to support the settlements in the West Bank and Jerusalem. On Sunday the Israeli Cabinet approved the expansion of several Israeli settlements in the West Bank and East Jerusalem, adding an additional 800 new units to the existing thousands of units constructed in Jewish-only settlements in direct contravention of international law. Israeli officials say that the approval of 800 new housing units is meant to somehow ‘balance’ the implementation of a court ruling that 600 construction permits be approved for Palestinian families in Beit Safafa. 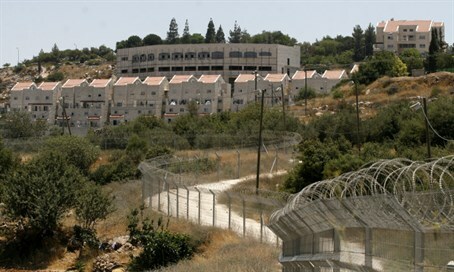 But while the Israeli officials may have political reasons for making such a claim, Palestinian analysts point out that there is no legal justification or comparison between the court decision about Beit Safafa and the announcement Sunday of the expansion of illegal Israeli settlements constructed on illegally-seized Palestinian land. In the case involving Beit Safafa, an Israeli court ruled last month that the Israeli government had provided no sufficient evidence to back its claim that the Palestinian residents’ building permit applications should be denied, and ordered that construction could begin. But the Israeli government has, for the past month, prevented the court decision from being implemented. The announcement Sunday that 800 new settlement units would be constructed in East Jerusalem and in the West Bank colonial settlement of Ma’ale Adumim came just two days after Israeli Prime Minister Binyamin Netanyahu approved the expansion of another colonial settlement in Hebron by 42 additional units. All Israeli settlements constructed in the West Bank and East Jerusalem are considered illegal under international law, as they involve the direct transfer of Israel’s civilian population into areas seized by military force. But the Israeli government considers many of these colonial settlements to be ‘legal’ under Israeli law, and provides infrastructure including water, sewage, electricity, policing and fire services to the majority of the hundreds of settlements that have been constructed on Palestinian land in East Jerusalem and the West Bank. In the case of Beit Safafa, the Israeli government had put together a plan to completely encircle the Palestinian town with several Jewish-only settlements, thus cutting off the town from the rest of the West Bank and Jerusalem. The plan had involved the expansion of a small trailer park currently housing Ethiopian immigrants to Israel, on a hilltop in Beit Safafa. The trailer park, dubbed ‘Givat HaMatos’, was slated for massive expansion by the Israeli government until Palestinian residents of Beit Safafa took the government to court to challenge the expansion. In a surprise victory a month ago, the Palestinian residents of Beit Safafa won their court battle. but the Israeli government failed to implement the decision before now. The plan to encircle Beit Safafa, while currently under scrutiny by international media and bodies, is just one part of the larger E1 Jerusalem plan, which would encircle East Jerusalem, kick out most of its Palestinian residents, and claim all the ‘conquered’ territory for the state of Israel. The plan was first introduced in the early 2000s, and has expanded since then. Israeli Prime Minister Benjamin Netanyahu has approved plan to build 42 settlement units in Kiryat Arba illegal settlement near Hebron, as a “punishment” against the Palestinian stabbing attack that took place on Thursday killing a 13-year-old Israeli girl. According to the Israeli Channel 2, Netanyahu consulted with his minister of Army, Avigdor Lieberman before approving the plan. This step came after Netanyahu and Lieberman visited the settlement on Friday, and met with the parents of the teenager who also called for building more homes in the illegal settlement in response to the killing of their daughter. The Palestinian attacker from a village near Hebron had been shot dead on the spot. The next day, according to the PNN, two more Palestinians were killed by Israeli soldiers in Hebron and Qalandia, including a pregnant woman. In addition, Israeli forces have closed down the city of Hebron, now for the third consecutive day, in response to the attack and beseiging over 600,000 Hebronites. U.N. Secretary-General Ban Ki-Moon stated, Wednesday, that Israel’s settlement activities in the occupied West Bank, and occupied East Jerusalem, are illegal under International Law, and pose a serious threat to prospects of establishing a viable, independent, Palestinian state. 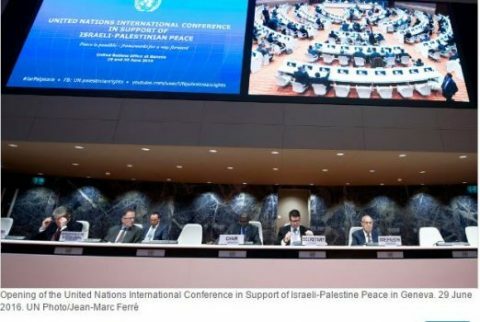 His statements came in a message delivered by Michael Moeller, Director-General of the UN Office at Geneva (UNOG), during the United Nations International Conference in Support of Israeli-Palestine Peace. “During my trip, I reminded the leadership on both sides of the imperative of taking prompt action to restore hope in a peaceful future and to preserve the Two-State solution – the only way to meet the national aspirations of both peoples,” Ki-moon said in his message. Area C is an important part of the West Bank, with various hills, meadows, and natural resources, but is almost exclusively used by Israel for its settlement activities, and military control. [Israel strictly limits Palestinian settlement, construction and development in Area C, while ignoring the needs of the Palestinian population. This policy means Palestinian residents must subsist in very rudimentary living conditions. 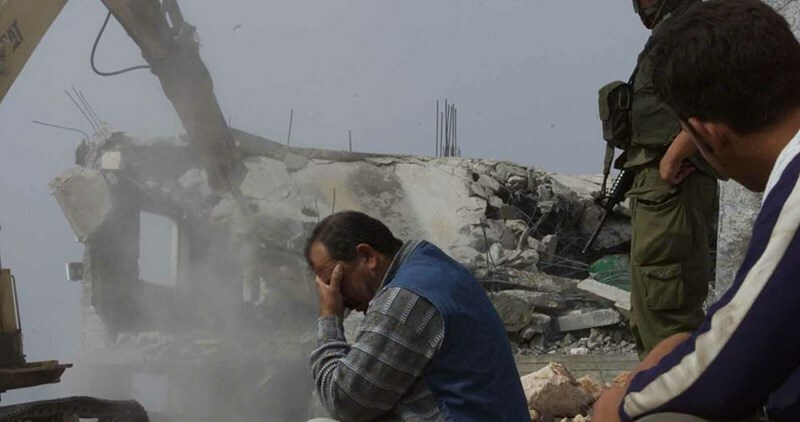 They are denied any legal avenue to build homes or develop their communities, so they face the constant fear that their homes might be demolished, and that they be expelled and lose their livelihood] B’Tselem – The Israeli Information Center for Human Rights in the Occupied Territories. The UN chief also stressed the importance of the efforts meant to gather international consensus for the resumption of direct peace talks, especially amidst France Conference, and the upcoming report of the Quartet Committee. Israeli confiscation policy has notably escalated in occupied Jerusalem and West Bank by 439% since the beginning of 2016 in comparison to last year, a Palestinian report revealed Tuesday. 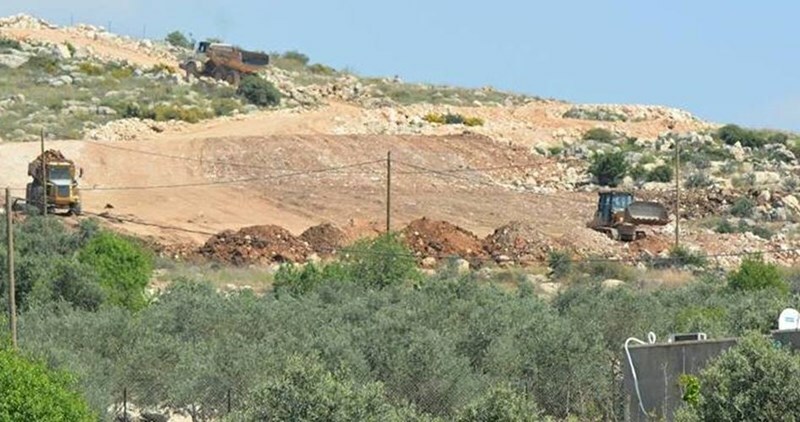 Applied Research Institute - Jerusalem (ARIJ) revealed in a report issued Tuesday that Israeli authorities confiscated since the beginning of the year 7,773 acres of Palestinian-owned lands, recording an increase by 439% in comparison with last year where 1,442 acres were seized. The Israeli occupation authority has recently escalated its Judaization policy in the West Bank notably by expanding its settlement projects, the report pointed out. During the reporting period, Israeli occupation forces demolished 276 Palestinian homes in the West Bank including East Jerusalem while 108 homes were destroyed during 2015. 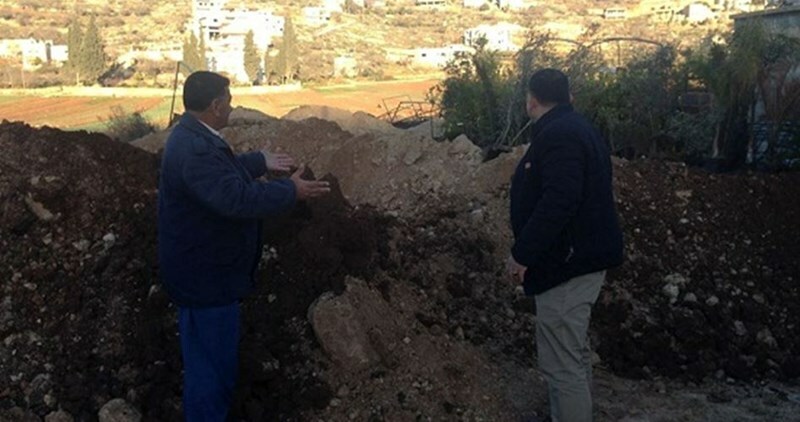 343 agricultural facilities were also destroyed during the first half of 2016 while 59 Palestinian facilities were demolished during the same period last year. ARIJ revealed that the IOA started building 139 using units last May in Shiloh illegal settlement as part of a big project to expand 10 new settlements. Although Israeli authorities do not make settlement population statistics public, the Applied Research Institute - Jerusalem has reported a population of some 766,000 Israeli settlers residing in illegal settlements scattered across the occupied West Bank and Jerusalem. All Israeli settlements on Palestinian land are considered illegal under international law. 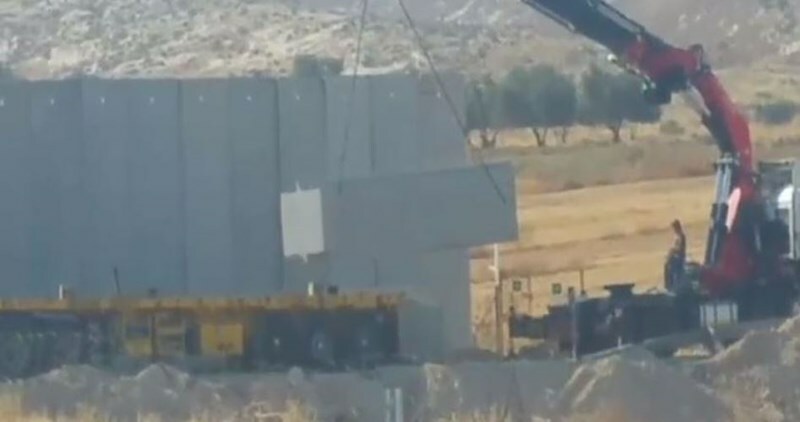 The Israeli war ministry started a few days ago to build a massive separation wall south of al-Khalil province at the pretext of protecting Israel's security. The construction of the wall is taking place one and a half years after former war minister Moshe Yaalon pledged to build it to prevent infiltration from Palestinian areas, according to a Hebrew TV report on Thursday. The wall will separate the southern areas of al-Khalil from Kiryat Gat city and Lachish region, which is located to the south of Tel Aviv. 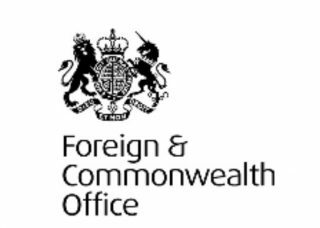 The British Foreign and Commonwealth Office issued a statement, Wednesday, expressing “its concern” regarding the latest Israeli decision to construct a new settlement building on Palestinian lands, in Silwan town, in occupied Jerusalem. In its statement, the Office said it was concerned by the latest decision of Jerusalem’s Municipality in which it approved the construction of a new four-story building for Jewish settlers in Silwan Palestinian town. It added that the new approved building was located in an area where the settler population is growing, while the Palestinians are facing constant displacement, evictions and demolitions targeting their homes and property. A spokesperson of the British Foreign and Commonwealth Office said that Britain is also concerned by the Israeli government’s approval of an additional £12 Million for settlement activities, adding that all settlements in the West Bank, including East Jerusalem, are illegal under international law. The spokesperson added that this decision represents another obstacle to peace, in addition to furthering the region away from the two-state solution.